The employment market has changed dramatically as the economy has made significant progress toward recovery and businesses are starting to operate in growth mode again. Employees are feeling confident enough about the prospects that they’re actively looking at better job opportunities. This is especially true of managers. Many managers across most industries found themselves during the recession years overburdened and settling for unsatisfactory salary progression (or, in some cases, regression), just to stay employed. While companies with a wise view toward the future have been working to reward the loyalty of those managers with better compensation and adequate staffing, many others have been slow to do so. There were plenty of job candidates to choose from during the lean years, but they had a critically different mindset: They were unemployed or under-employed, or employed, but watching the axe being ground. The higher up the pay scale they were, the more willing they were to consider making a lateral move, reduced benefits, or accepting a position they didn’t consider ideal because it was a bird in the hand. As many industries prepare for more prosperous times, the opportunity for positive mobility among managers is greater than it’s been in the past decade, and the most talented candidates are well aware of their value. Good managers are no longer competing for your positions; you’re competing for the good managers. It’s important to your company’s well being that you hire the right managers, because your managers have a huge impact on your employees’ commitment and productivity, and, ultimately, on employee retention. Start with a portrait of your ideal manager: Education, Experience, Personality, and Employability Skills. Think twice before you set any single criterion as a deal-breaker, though. In the end, you may come to the decision that that item really is non-negotiable, but consider it thoroughly first. There are a lot of highly talented managers on the move right now, and they know they have lots of options. Don’t skip over a quality manager because you won’t consider whether they may have enough transferrable skills to make them an excellent candidate for your position, despite lacking something that got added to a job description, but maybe it’s not as critical as first thought. Stick to your guns on things that are issues of legality, insurance, or licensing, for example, but are you really willing to turn down an otherwise ideal manager because he needs to learn your proprietary software packages? 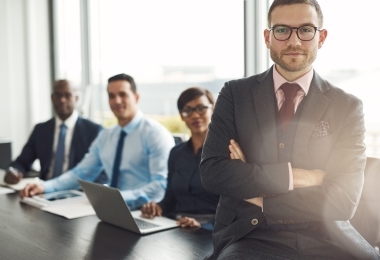 If you’re planning to work with a management recruiting firm, be prepared to let them know what your dream manager looks like, but also give them a short-list of absolute requirements. You’ll get a wider range of choices by staying more flexible in the early stages. It’s easier to narrow a field of good choices than to have to settle because you have too few candidates. Learn how to effectively court the best candidates you meet, and you’ll be welcoming all the new talent you need for successful growth.